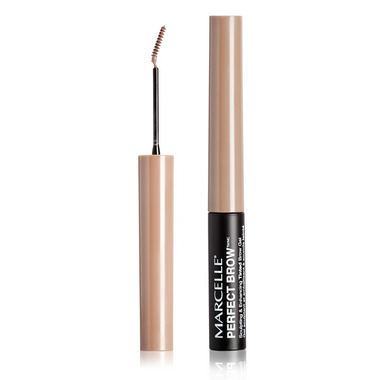 No more raised eyebrows, get the perfect shape with the Marcelle Perfect Brow. The ergonomically designed, unique angled brush allows for an expert application that gives your browsdefinition and a natural look and hold. The tinted gel fills in and sculpts brows so that they stay in place all day. Excellent product. This product is very easy to apply, very natural-looking. The brush is very thin and fine, easy to control and the perfect way to apply this product. My eyebrows are quite light and I chose the light to med. colour. It is dark enough to provide excellent framing of my eyes. I would definitely recommend this product for a very natural look.